To my knowledge, the NYPD is the only city police force that has its own international intelligence operators. It's getting to the point where the NYPD operates like the Texas Rangers -- their jurisdiction is wherever they are. 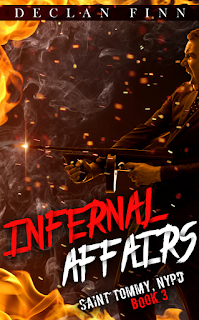 So, when Infernal Affairs ended the way it did, it was obvious that Tommy Nolan had to get the Hell out of town, it was easy enough to transfer .... elsewhere. But one of the nice things with getting Tommy abroad is isolating him. He loses his friends, his family. I get to give him a new partner. He gets a total stranger. I get to grind him down and tear out his soul. And if you're going to nail someone who gets power from God, you're going to have to grind him down and sever his connection. Me? Sadistic? I'm a writer. That part is redundant. You can tell when even Jim Butcher enjoys talking about how much he tortures Harry Dresden. But then again, a large part of the fun in fiction is watching our heroes get the ever loving stuffing beaten out of them and still come back for more, and stop them if you can. And if you can't tell that I like the results I get from beating up Tommy, you should remember everything I did to him in Hell Spawn.... and remember that he still has scars from all of that. If you think that's bad, you should see what I do to him in City of Shadows. But isolating him works on multiple levels. You may remember in the first trilogy, Tommy called in backup. He could do that. He did do that on multiple occasions -- when he could. Oh, I should note that it's still legal to carry acid around in the middle of London. Because I can't make this crap up. I really can't. But yeah, it's a nice setup for a rough and tumble world in "civilization." Oh, and of course, we can't forget -- our hero isn't allowed to carry his own damn gun. Because Europe. So Tommy has no friends. He has one uncertain ally. The cops are antagonistic. The civilians aren't much better. The criminals wouldn't help him on a bet. He's got no one to back him up except for a total stranger and God Himself. I won't say that "Then the Winged Hussars Arrived"... but close. So there's a lot of fun elements to taking Nolan out of his element and dropping him straight into the fire. 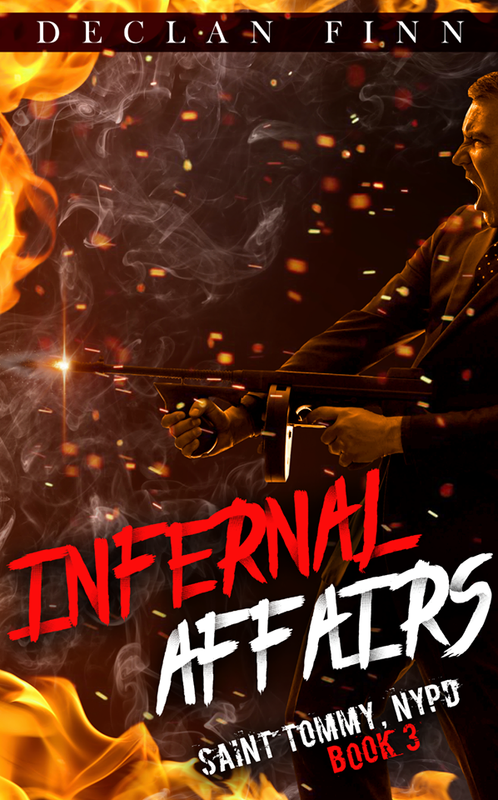 It worked in Hell Spawn, Death Cult and Infernal Affairs. 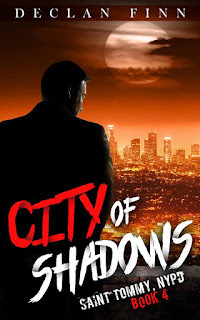 Also, City of Shadows is $.99 this week. So this is the time to jump on board.